Hi everyone!! I hope you are all well and having a lovely weekend! My week has been filled with working, general housework and being around for my youngest who is currently sitting some of his GCES and end of year exams. He has been working extremely hard and with the World Cup on the horizon this is a much welcome distraction for enjoying his downtime! 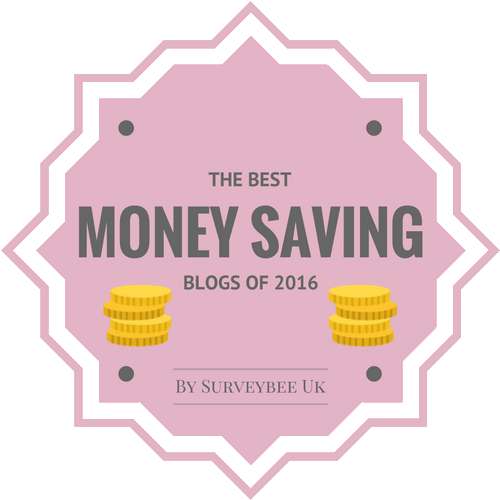 My blogging reading and posting has been very sporadic due to a major life change imminently on the horizon which of course is taking top priority at the moment. I do try my best to read your blogs even if I'm not leaving comments and to try and get my own life back into a normal routine I am hoping that I'll eventually be able to start blog posting and thrifting more regularly too, so do please bear with me!! Anyhow, back to all things style and this post has been in the making for a couple of months as both items that I've thrifted were found this Spring season. 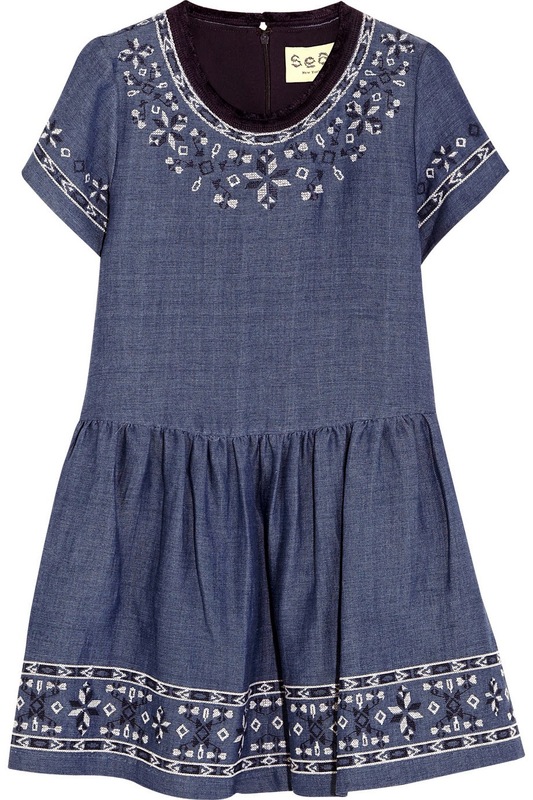 Like everyone else I love Summer style and each year I always eagerly look out for dresses as my main outfits of choice. Being such an avid jeans lover for the other three seasons means I'll favour either a vintage or modern, designer or high street dress that over the years has tended to follow one main theme- floral or patterned. 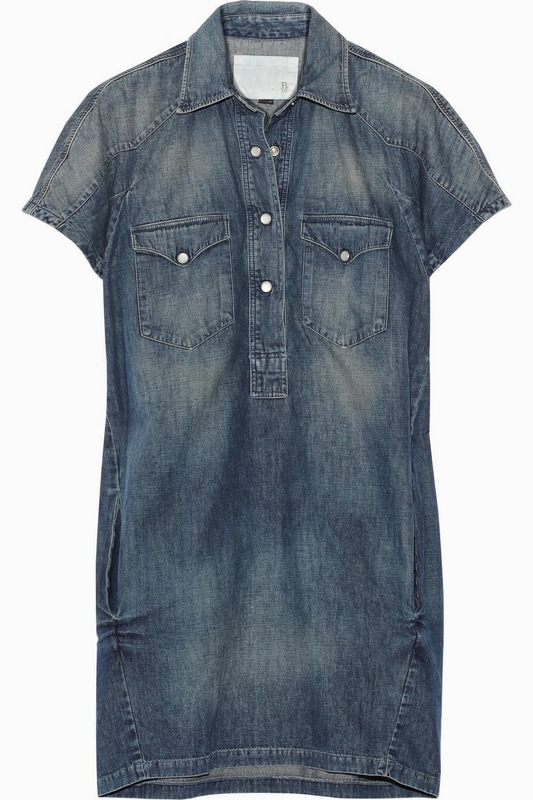 When the trends for Summer were being shown in winter, one particular item caught my interest which was the denim/chambray summer dress. 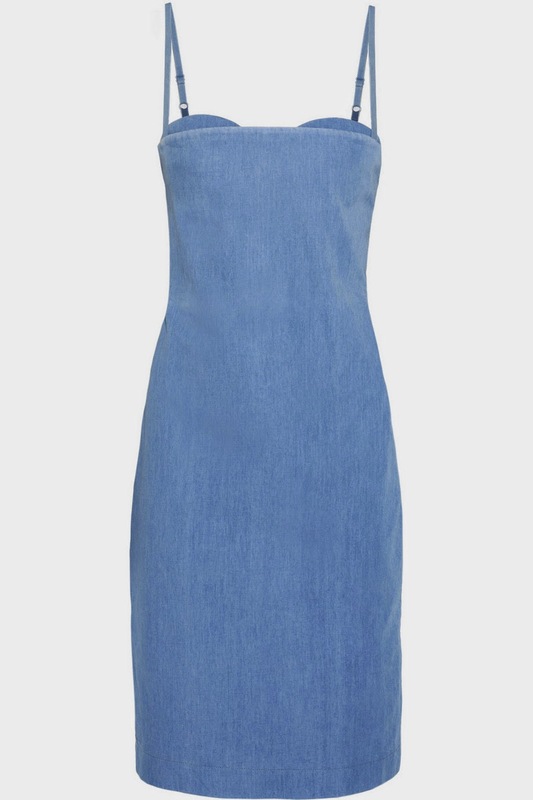 I already have a chambray denim maxi dress thrifted from last year but as the new year came in I really wanted to find 'the' denim dress. I first wore it for my lovely blogger meet with Michelle a few weeks back and funnily enough whilst we were eating lunch I managed to drip garlic butter on it-oh noo!! Thankfully a dose of fairy liquid and vanish got rid of the big blob in question and now laundered and pressed is ready for action again!! 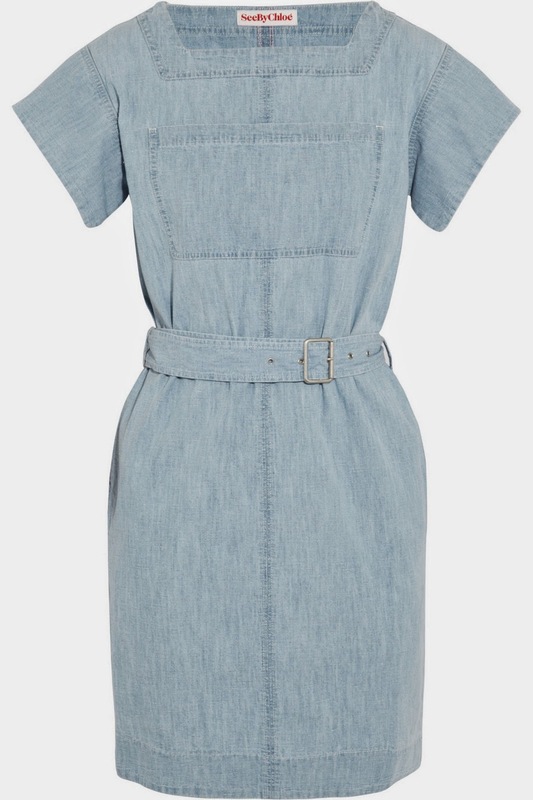 It's quite a slim fitting dress and comes just above the knees, but again is a perfect summer day dress and with both dresses coming in at just over a fiver they are my perfect denim style investment pieces this summer! 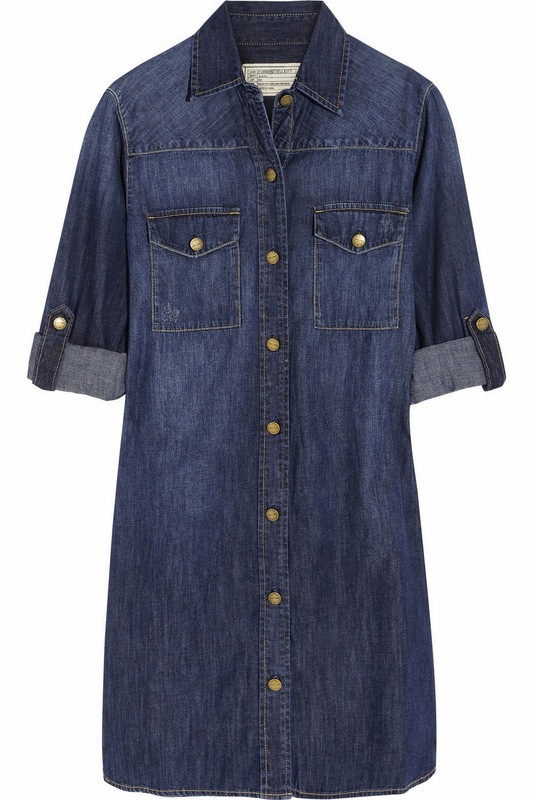 Did you indulge in a chambray or denim dress for this coming season? 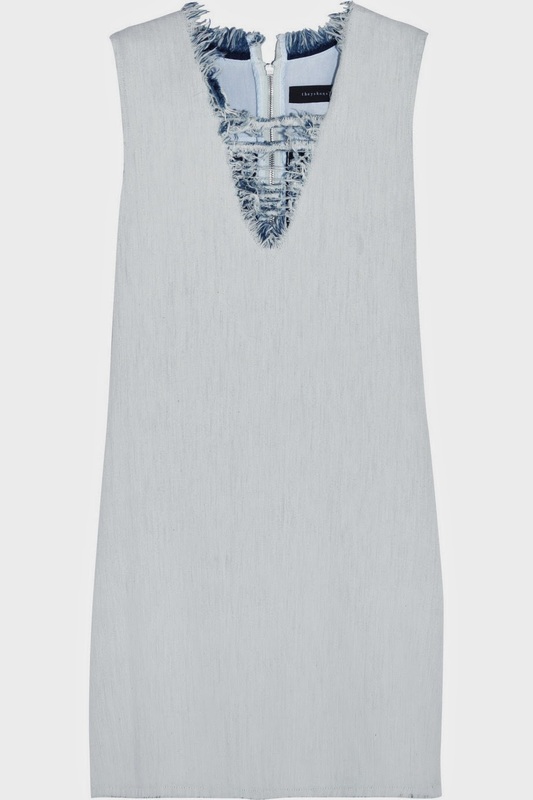 I'd love to know what style of summer dress you are currently favouring, be it plain or patterned, floral or stripes, shift or fitted, do share!! Thank you as usual for stopping by with your wonderful comments, opinions and observations- they are so welcomed and appreciated and I do look forward to catching up with you even if it's later rather than sooner! Wishing you all a great week ahead and enjoy the sunshine if you're lucky to have it with you at the moment!! 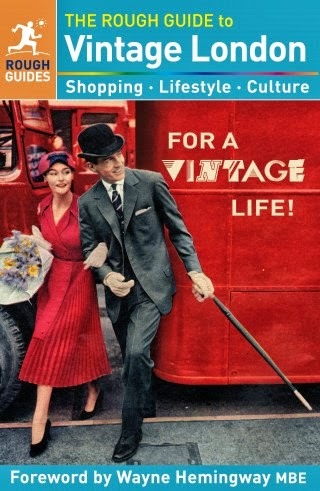 Fabulous finds Sharon. You do so well with your finds. I loved the denim maxi dress you wore last year. Phew! Glad the garlic butter was attended to! I got really nervous when I read that! LOL.